I can hardly believe Make Your Move: Finding Unshakable Confidence Despite Your Fears and Failures my Bible study for women, is one year old this week! 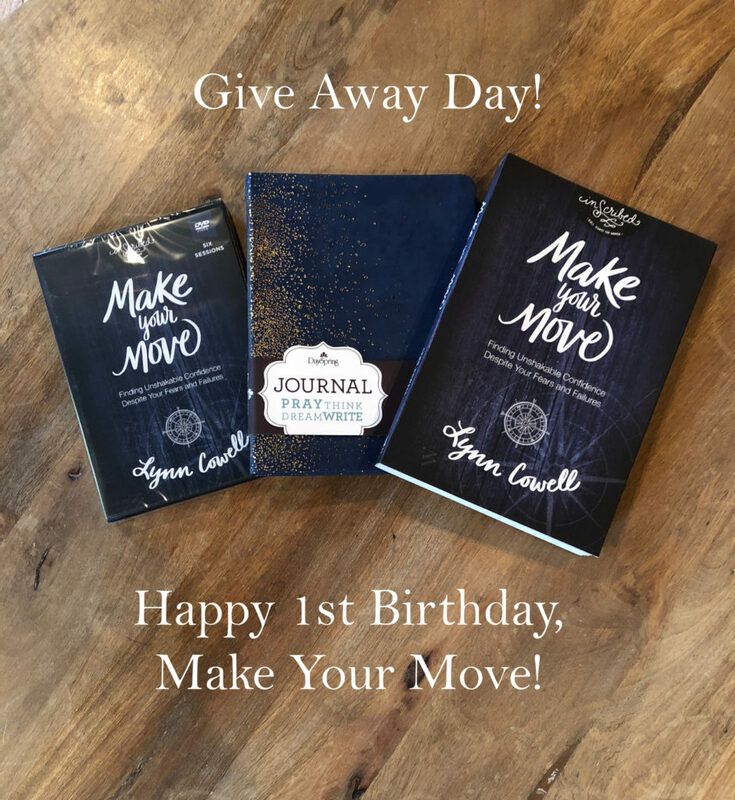 To celebrate, I’m giving away on Instagram a copy of Make Your Move, the 6 week teaching DVD, and a beautiful Dayspring Journal. Stop by to enter by clicking here! If you are joining me here today from my Proverbs 31 Ministries Encouragement for Today devotional, My Words Give Me Away, welcome! If you haven’t read the full devotion, I invite you to do so by clicking here. Have you ever wanted to say “Come Back!” just as you have heard words escape your mouth … words that should have never come out? There is no time like the time of the holiday hussle when, suddenly our words explode from the pressing pressure in our hearts. This year I’m believing will be different as I have been from the daughters of the daughters of Zelophehad. Do you hear that faith? Their words gave them away! Our words also give us away. What are we building inside? 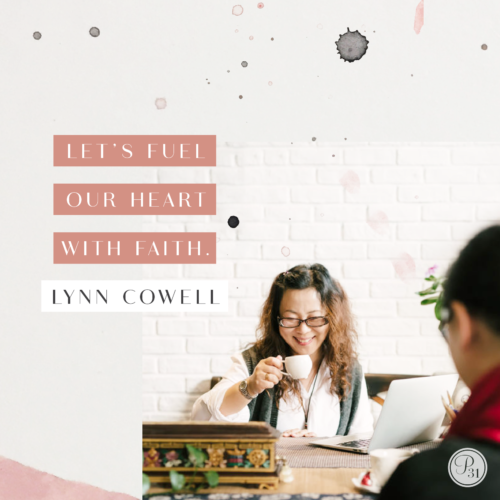 Are we purposefully putting in faith to fuel our heart? Trust and confidence in God and Him living His power out of us? Or are we just fear and worry to to take over? There’s not a lot we can control in this life, but we can control what is growing in our heart. We can choose. May our words give away that we are building our confidence, not on ourselves and our ability to “pull it off” but on our perfect God, continually reminding ourselves of His promises and word to us. It would be my honor in 2019 to come alongside you to build this kind of confidence; Christ confidence. It’s not a confidence that we can lose or have taken from us, no matter what comes our way. It is an unshakable confidence built on our unshakable God. Invite a friend or introduce Make Your Move to your Bible study leader. Together, make your move and discover the confidence God has always intended for you! 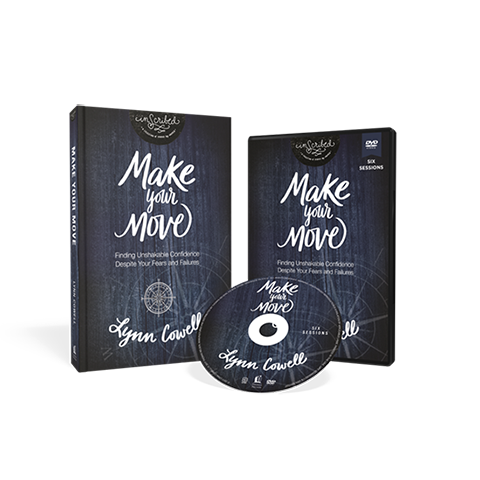 PS … if Make Your Move is your next study, email me at Lynn@LynnCowell.com and I’ll send you and your small group some free resources helping you build your Christ confidence! I’ll see you over at Instagram for the give away! I can’t wait to see who wins! « No Pat on the Back for #3?